Over the past few years GIGABYTE has expanded to a variety of new businesses. The company started to offer memory modules, SSDs, mice, keyboards, and a lot of other gear aimed at gamers. This year GIGABYTE enters the market of gaming displays with a rather interesting offering: the Aorus AD27QD. The 27-inch monitor combines a 8-bit panel with a 10-bit scaler, and a 144 Hz IPS QHD panel with a plethora of features aimed at gamers, including FreeSync. The monitor also has its own active noise cancellation too. 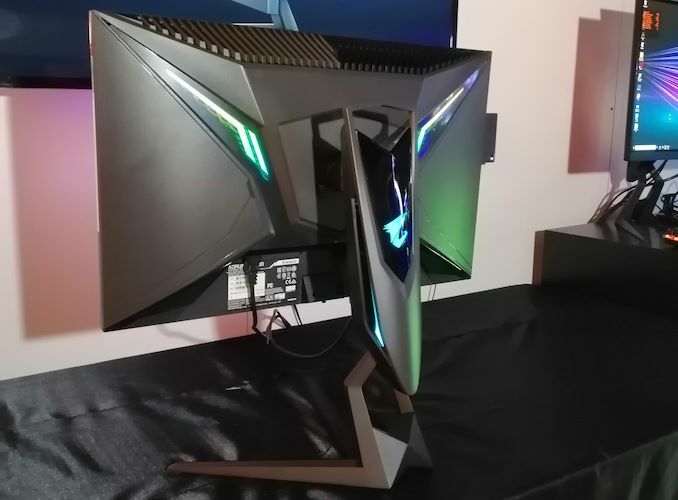 GIGABYTE’s Aorus AD27QD features a very unusual chassis and stand that look like Martian invaders from Herbert Wells’ “War of the Worlds” or similar creatures from Valve’s Half-Life 2. 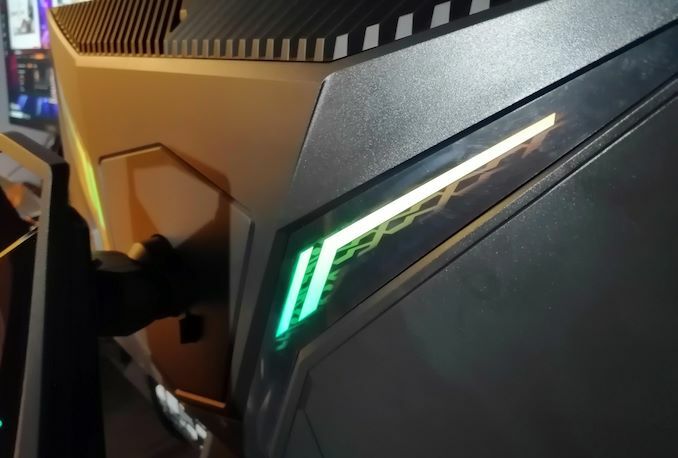 Equipped with four programmable RGB bars on the sides and the Aorus-styled RGB-lit golden eagle in the middle, the stand and chassis look glittery gamerish. While virtually all gaming monitors use aggressively-styled chassis, GIGABYTE has probably outpaced everyone with its design. Moving on to specs, which are far more important for gamers than the eye-catching design (which is something that the display definitely has), the Aorus AD27QD is based on a 10-bit 2560×1440 resolution IPS panel. Overall the display offers 178°/178° viewing angles, as well as a 144 Hz maximum refresh enabled by AMD’s FreeSync technology. The monitor can reproduce 95% of the DCI-P3 color space. 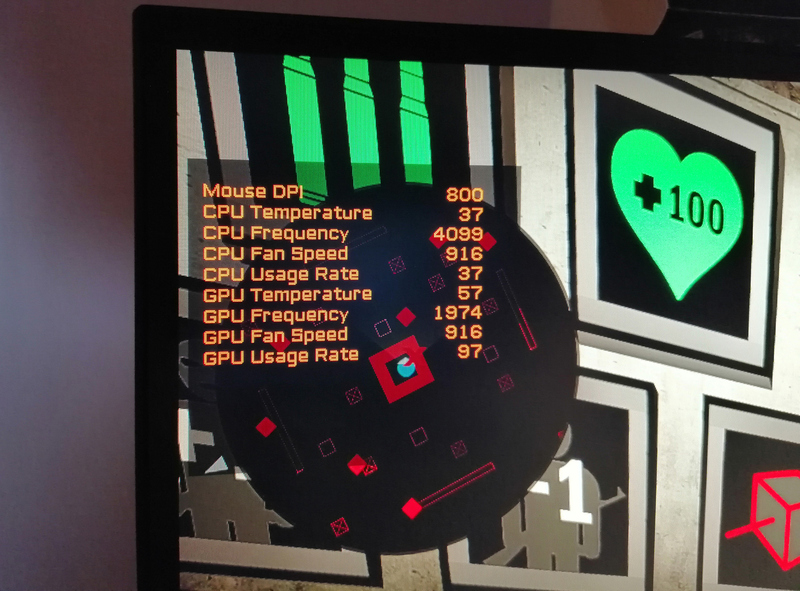 One of the selling points of the monitor is its software controls as well as an OSD that can display various important information like CPU temperature, fan speeds, mouse sensitivity and so on. The OSD also has a 'dot sight' functionality which shows a custom image in the center of the screen to help gamers aim in their first-person shooter of choice. This is being called a 'gaming aid'. 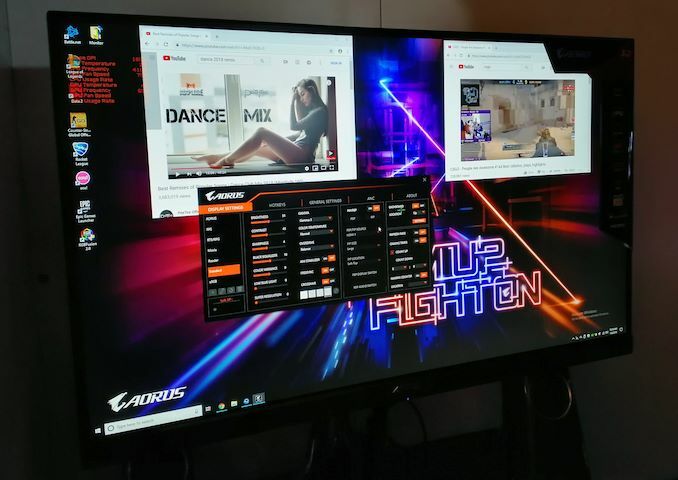 Being designed for gamers, the Aorus AD27QD supports a number of features aimed directly at them, including GIGABYTE’s active noise cancelling technology as well as AMD’s FreeSync. The ANC feature is unique to the Aorus AD27QD display and will likely attract attention of team gamers who use voice communications to coordinate their actions. In this case GIGABYTE is using the ANC in conjunction with a gamers' microphone to help their team mates hear them better. 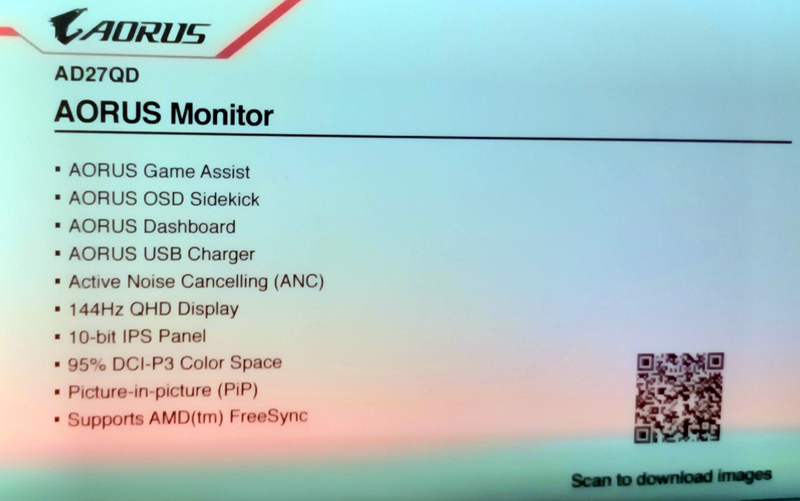 GIGABYTE said that the monitor is expected to be available from the end of January, and will be priced around $599. A GSync enabled version should be available later in the year. 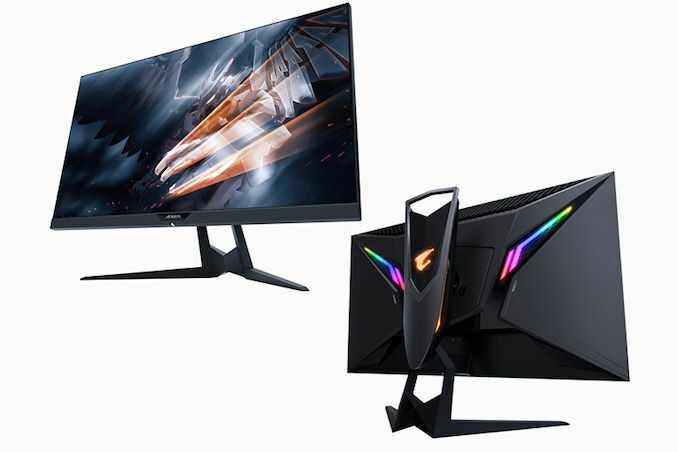 UPDATE 4PM 1/17: The official MSRP of the Aorus AD27QD is $599. Kewl. I can't wait to slap some extra RGB on that bad boy and really show my wife how bada$$ I am in my guild and clans. Fourth sentence of the first paragraph "The 27-inch monitor combines a 8-bit panel with a 10-bit scaler..." though the model name is a fairly reliable clue. 8 bit "native" 10bit with the upscaler being used, IMO probably not as good as native 10bit, but, it might have allowed them to "tweak" before the upscaler takes place, at the specs they show IPS 1440p 27inch, I wish more info was given for expected refresh rate not just the panels Hz level.